In a statement to reporters, Trump said outgoing Pepsi CEO Indra Nooyi suggested a six-month reporting schedule. "I'd like to see twice but we're going to see," Trump said. "So we're looking at that very very curiously, we're looking at twice a year instead of four times a year." The SEC has already been working on the issue. Chairman Jay Clayton issued a statement Friday saying the agency "continues to study" reporting requirements, including how frequently companies should announce results. "The president has highlighted a key consideration for American companies and, importantly, American investors and their families — encouraging long-term investment in our country," Clayton said. Nooyi confirmed she had talked to Trump about the change of schedule. She pointed out that it had the support of many CEOs, including the Business Roundtable, an association of leading CEOs. "Many market participants...have been discussing how to better orient corporations to have a more long-term view. Most agree that a short-term only view can inhibit long-term strategy," she said. "In the end, all companies have to balance short-term and long-term performance." Studies on the subject are mixed. It's unclear whether management at companies that report semi-annually take a longer-term investment strategy than management at companies reporting quarterly, said Salman Arif, a business professor at Indiana University who has studied the difference in reporting periods. What is clear is that investors are more reluctant to invest with companies when they have less information on their performance. "Less frequent reporting can raise the cost of capital," he said. "If you're taking away information from investors, they will be desperate for any signals on performance." The president has run privately-held companies that didn't have to report results at all during most of his time in business. 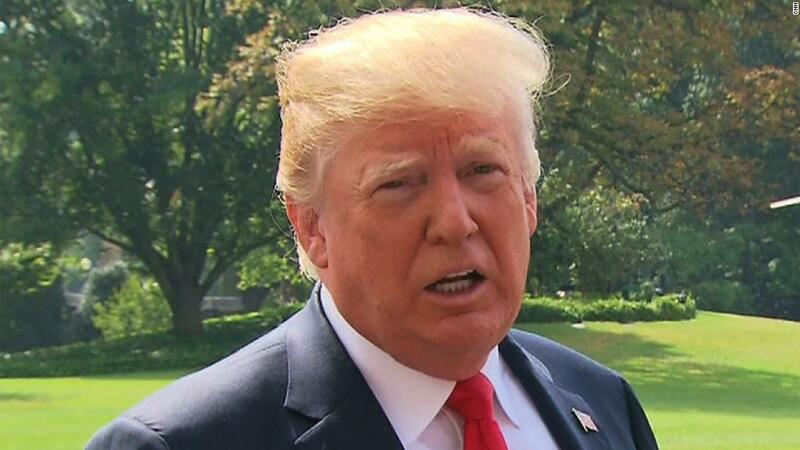 "This is the most myopic president in history," said hedge fund manager Stan Druckenmiller: "He doesn't think -- in any way -- long term. I find it very rich that he's proposing this with some veil that it's going to help companies think long-term. As an investor, I find it troubling." Druckenmiller noted that investors like to know what's going on with the companies they invest in. A lot can change in a three-to six-month period, especially with all the disruption in technology. "You've got guys like Elon Musk saying they want everyone to think long term. In the meantime he's building cars in a tent so he makes quarterly numbers," said Druckenmiller. "Jeff Bezos has proven you can report quarterly numbers and think long-term. He's done it." The European Commission, among others, only requires semi-annual financial reports of companies there, although major European companies whose stock is traded in both the United States and Europe will report on a quarterly basis in order to comply with SEC regulations. Nooyi said she thinks it would be beneficial to harmonize American and European rules on financial reporting.